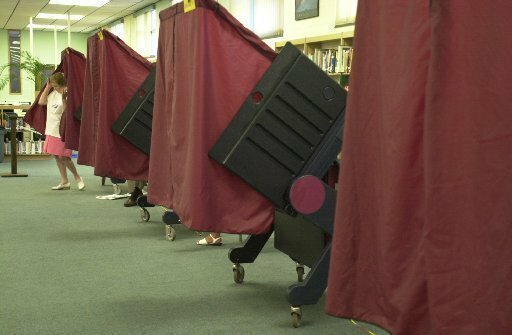 Talk of a “rigged” presidential election has been spread through the nation in recent weeks and has been a recurring theme in speeches given by Republican candidate Donald Trump, but in Ocean County, officials said the county is taking every measure possible to ensure a fair, problem-free election. “We are meeting all the new standards” in voting security, said Freeholder John P. Kelly, who is running for re-election to the five-member freeholder board this year . New federal security standards have prompted one major change in Ocean County. In the past, County Administrator Carl Block said, data from voting machines across the county was loaded onto a computer into a tabulation system. As that computer tabulated the votes, the results were instantly uploaded to the county’s website. To prevent hacking, he said, the county now tabulates the votes on a computer that is not connected to the Internet. After they are tabulated, the data is uploaded to the website for the public to see. The new policy will delay results on the website for about five minutes, Block said. In addition to preventing a cyber attack on the county’s elections, officials also work to make sure each voting machine works properly and is not tampered with before the polls open. Every one of the machines is tested before the election, said Kelly, after which they are transported to a locked room.